Lupe Pintor retained his World Boxing Council bantamweight title with a 12th round knockout of Welshman Johnny Owen. The frail looking challenger, called the "Merthyr Matchstick" by hometown fans, was taken from the ring on the stretcher and rushed to California Hospital Medical Center, Owen underwent a three hour brain operation for removal of a blood clot. The tragic ending came quite suddenly. Owen held his own against the champion for much of the fight, and, though Pintor took charge from the ninth on, Owen was not taking a dreadful beating. A right hand to the head dropped Owen to the canvas a full two minutes into the 12th. Referee Marty Denkin gave the mandatory eight count. Then, before allowing the fight to continue, he asked Owen if he wanted to go on. The Welshman did not appear seriously hurt at that point. But seconds later Pintor landed another right to the head and Owen crumbled to the canvas with an ugly shudder. He immediately lapsed into unconsciousness. Pintor, entered his third title defense a 5-1 betting favorite. A typical Mexican banger, Pintor brought no new battle plan into his fight against the light hitting 5'8" challenger. A good left hook and lots of courage have made Pintor what he is, and he overcame his four inch height deficit against Owen by pressing forward, looking to unload the harder punches. But Owen, the Commonwealth champion, showed that, despite his ghostly pale and thin frame, he had serious ambitions for the world title. At times, he clearly outboxed Pintor, not hitting him with anything hard, but cutting the champion over his left eye in the third round and in the fourth round over the right eye. At the end of the sixth round, the ringside doctor visited Pintor's corner to inspect the cuts. In the seventh, Pintor bloodied Owen's nose but Johnny (117 1/2), came back in the eighth to fend off the charges of the Mexican champion with accurate counterpunching. Pintor turned the fight around with one roundhouse right in the ninth round, knocking Owen down on his backside. From then on, the challenger seemed to fade. The fight became a cat and mouse game, with Owen lacking the strength to keep Pintor at a respectful distance from him. The sold out crowd at the ancient Olympic Auditorium sensed that the end was coming. Firecrackers exploded in the aisles and the chant of "Mexico" filled the building. Pintor, who was seeking his 34th knockout in 50 fights, does not have the great power of former title holder Carlos Zarate, but he keeps up a steady attack and has worn out many strong fighters. It is part of the mystique of boxing to witness a crowd brought to the edge of hysteria, for that is a tribute to the courage of the fighters and in the intensity of their battle. But there is always a dark side to a sporting crowd, and when Owen went down for the second time in the 12th round, in a coma and near death, the partisan crowd became like a lynch mob. Owen's cornermen were shoved and drenched with beer, and one hardened veteran of such "flesh peddling" said afterwards, "They didn't know how badly he was hurt, but I actually got scared that Owen's handlers were going to be badly attacked. It wasn't everyone, but this was worse than anything I've seen, even when Cuevas and Zarate brought them out." Owen's mother and sister flew in from Wales to be at his bedside. His father was already in Los Angeles. The family owns a small grocery store in the south of Wales. Pintor and his manager visited the critically injured boxer and paid their respects to his family. 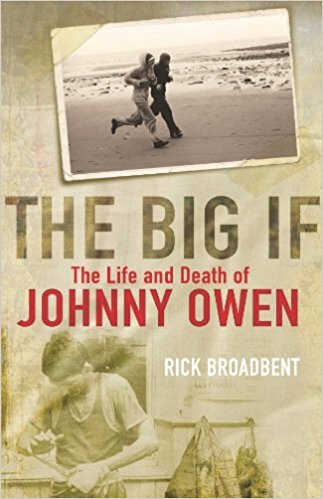 After a week of intensive care, Johnny Owen was still in a coma, somewhere between life and death.